Let Them Eat Cake… or Cookies ……. I’ve always wondered how people can eat donuts, muffins (essentially cupcakes without the frosting), oatmeal filled with sugar, fruit, nuts, or chocolate, and granola bars for breakfast, but cookies seem to be taboo. Well, I am here to tell you that all of that is about to change. 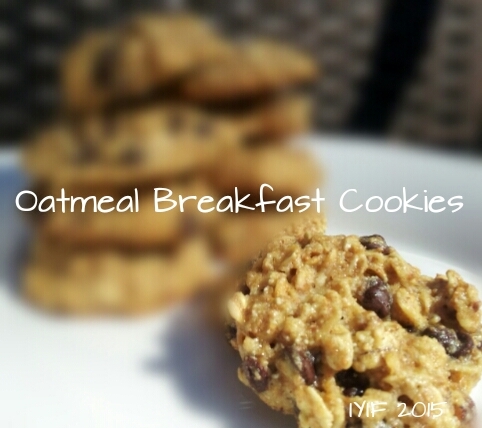 There isn’t any reason why you can’t have cookies for breakfast, or a snack, and feel just fine about it. If Belvita can do it, we can do it to! Now I know that the ingredient list looks really long, which I generally try to avoid, but these cookies are super easy and quick to throw together. So, are you wondering what makes these cookies so special? 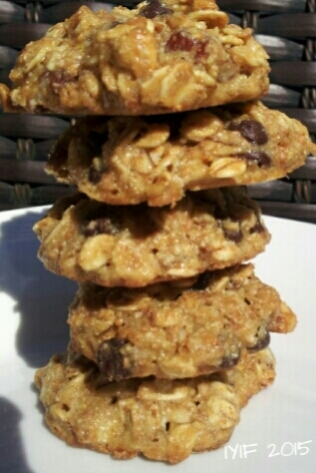 Because of the oatmeal I used for these cookies they are more substantial, along with the stone ground wheat, but have a few extra calories, and that is ok! 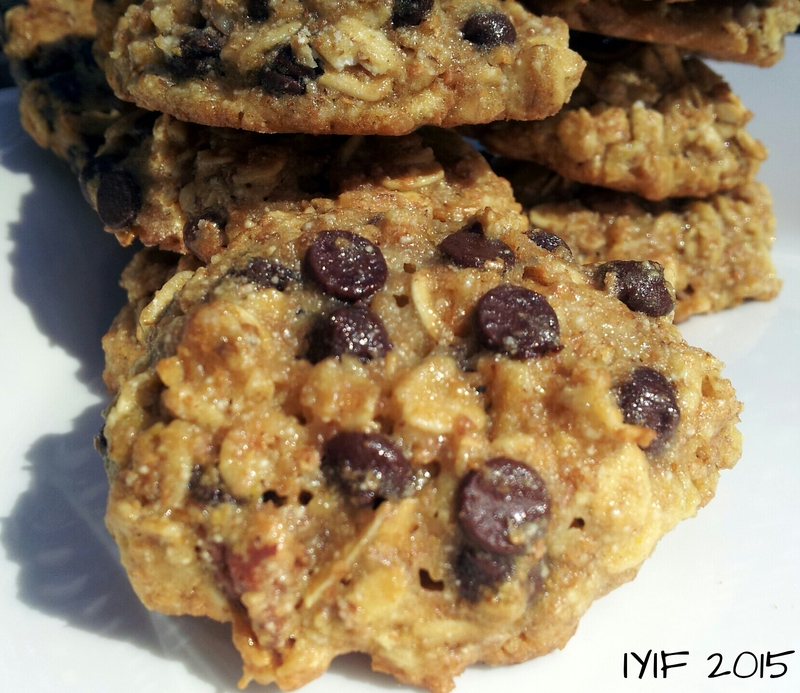 I used Silver Palate Thick and Rough oatmeal in these cookies and found the texture to be amazing. Of course, if all you have on hand is some regular Old Fashioned oats you can use those to. 🙂 I don’t generally recommend sweets for breakfast, but these cookies stick with you , and don’t make you want to raid the pantry 5 minutes later. Now, if you are having trouble wrapping your head around cookies for breakfast by all means press the dough into a square pan and make them into breakfast bars! I used mini chocolate chips and pecans that I had left over from my Turtle Caramel Corn, but the choice is yours. The calories will change, but feel free to add anything you would like. You can use dried fruit, seeds, any kind of nuts, butterscotch or chocolate chips…. The combos are unlimited and you are in control of all of it! I will tell you that if you are a chocoholic ¼ cup of mini chocolate chips will be right up your alley, but I found them to be super-duper chocolatey and I think that next time I would only use 1/8 of a cup. But if you like a serious chocolate blast, keep them just as they are and you will be singing chocolate praises all morning long. So, grab your favorite morning drink, a yogurt or piece of fruit, a couple of cookies, and you will be set for the morning! I am not being paid for my opinion regarding Silver Palate oats. wow. lovely cookies. you are really good with these mixtures. i feel like having one right now. Keep these great work on, and i hope there is more this weekend. I am loving everything you make:) Keep it coming!